This new and modern development is situated aprox. 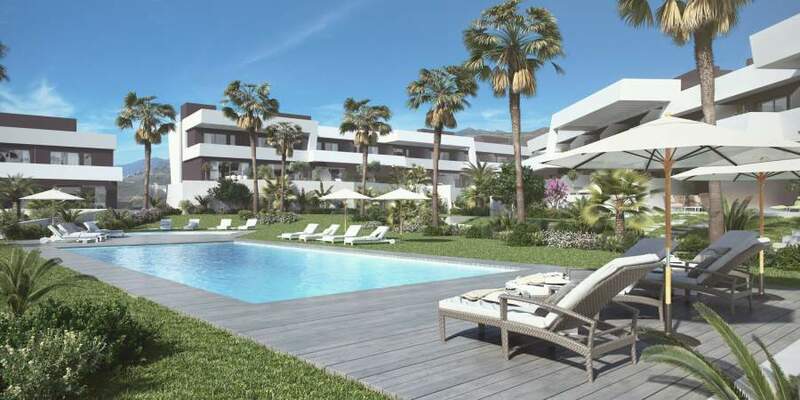 400 metres from the beach and all amenities in La Cala de MIjas. The properties are spacious and the majority of the townhouses has spectacular sea and mountains views and enjoy large green areas. The promotion offer various dispositions in order to match all the clients expectations; 2, 3 and 4 bedrooms, private underground parking space for 2 cars and roof terrace with private swimming pool – facing the communal gardens and the 3 swimming pools. This project offers a luxurious, modern property within a secure complex on a fantastic location near all amenities and services. Prices are between 445.000€ to 580.000€.